The white grape comes from Italy, Synonyms are Groppello Bianco, Nosella, Nosella, Nosilla, Nosiola Gentile, Nusiola, Nusiola Gentile, asparagus, Spargeren and Spatfelen. She may despite morphological Similarities not with the variety durella be confused. According to 2007 occurred DNA analysis it is a presumably natural cross between the Valais variety Rèze x unknown partner. Da Rèze is also a parent of Groppello di Revò is, explains the synonym Groppello Bianco. There is also a close genetic relationship to the variety Bonda, According to an unverifiable hypothesis, she is said to be a descendant of Pliny the Elder (23-79) mentioned Uva raetica, from which the famous Raeticum was pressed. 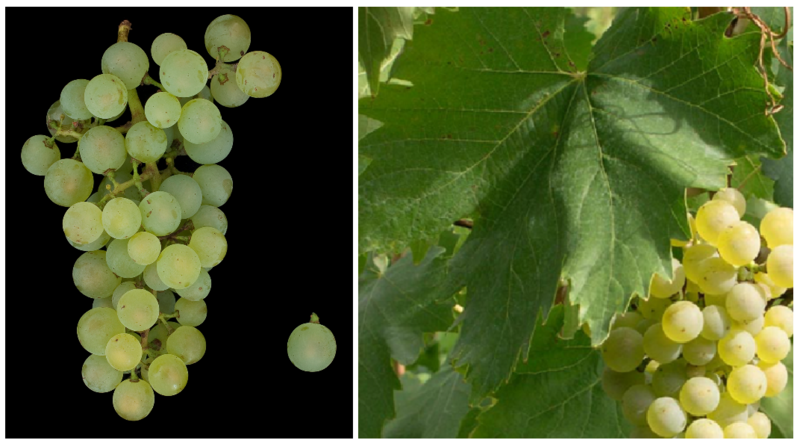 The medium to late-ripening, low-yielding vine is sensitive to spring frost, as well as prone to Verrieseln, Real mildew and bunch rot, It produces straw yellow, fruity, rather low-acid white wines with aromas of citrus and hazelnut (Nosiola is probably derived from the Italian "nocciola" = hazelnut) with light flavors bitter Aftertaste. She is in the regions Trentino-Alto Adige and Veneto cultivated where they are in the DOC wines Trentino and valdadige (Etschtaler) is allowed. The variety is particularly suitable for the production of sweet wines and is for a special Vino Santo version used. The Italian acreage in 2010 amounted to only 79 hectares with a strong downward trend (Kym Anderson ). This page was last modified at 28 December 2018 at 15:02.